So you’ve been promoted or hired as the newly instated manager of a team. What now? No matter how you’ve arrived at your new role, congratulations are in order, because this much is true: Somebody — more likely many people — believed in you and your potential to lead a team. Your manager’s team is growing, so you’ve been asked to manage part of it going forward. I went down this path to become a manager at Facebook when our design team’s leader realized that we needed more support after our team doubled. Suddenly, my peers were now my direct reports. How will my transition be communicated? What do I need to know about the people I’ll be managing? What does success look like in my first three and six months? How can the two of us stay aligned on who does what? You have a sense of what works and what doesn’t. A useful exercise to go through at the beginning of your transition is to sit down and make a list of all the things that are awesome and all the things that could be better. This list gives you the start of a plan for what you should and shouldn’t change. Playing the role of coach. Your job now includes understanding your former peers’ career goals, what kinds of projects are well suited to their strengths and interests, what they need help with, and how they are doing relative to expectations. Even if it feels awkward, you’ll have to ask questions like “What do you want to be working toward in a year’s time?” or “What do you consider your strengths?” Seek to understand what your new reports care about. Give them feedback about what they’re doing well and where they might stretch. Having hard conversations. If something is getting in the way of great work happening, you need to address it swiftly and directly. This may mean giving people difficult feedback or making some hard calls. The sooner you internalize that you own the outcomes of your team, the easier it becomes to have these conversations. Having people treat you differently or share less information with you. I was surprised when my peers, who used to be so transparent with me about everything, suddenly seemed to share less after I became their manager. They wouldn’t always tell me when they were struggling or annoyed or had a disagreement with another member of the team. If I walked in on two of them venting about something, they’d stop and look at me sheepishly. I found it harder to get a clear picture of what was happening on the ground. Over time, however, I recognized that, yes, this was normal. My reports were wary of bothering me or coming across poorly. It was up to me to work harder to establish a trusting relationship. Balancing your individual contributor commitments with management. In the early days, most new apprentice managers are also handling individual contributor responsibilities. When I became a manager, I thought this was a fine arrangement. I was afraid that if I stopped doing design work myself, I’d slowly lose my skills, which would make it harder for me to be an effective leader. Unfortunately, the mistake that I made — and that I see virtually every apprentice manager make — is continuing to do individual contributor work past the point at which it is sustainable. Don’t learn this the hard way; at the point where your team becomes four or five people, you should have a plan for how to scale back your individual contributor responsibilities so you can be the best manager for your people. You are a founding member of a new group, and you’re now responsible for its growth. You’ve done the job, so you know what it takes. You were the first, the original, the alpha; no one knows better than you what the job entails, because you helped define it. Now it’s time to take it to the next level. You get to build the team you want. One of the privileges of being a pioneer is that you’re able to choose the people you want to work with and how you want to work with them. What qualities do I want in a team member? What skills does our team need to complement my own? How should this team look and function in a year? How will my own role and responsibilities evolve? You may not have much support. You may be the only manager doing what you do at your organization. But there are two other groups you can lean on for support: other managers in your organization who support related functions, and managers in your area of expertise outside your organization. You’re coming in to manage an already established team, either within your existing organization or at a new one. People cut you slack in the beginning. You have a window of time, usually about three months, when everyone recognizes that you’re the new kid on the block. Use the newbie card to your advantage by asking as many questions of as many people as you can. You start with a blank slate. Did you have a reputation for being indecisive or stubborn in your last role? Now that you’re coming in fresh, you have a chance to form new ties and reset your identity. This also works the other way around. Some of your reports will appreciate the chance to build the kind of manager-report relationship they’ve always wanted. Stay open-minded and curious as you meet everyone. A new-boss friend of mine was told by a colleague that one of her reports was “a worse than average employee.” She thanked the colleague for the information but resolved to come to her own conclusions. Over the next six months, she grew to develop a fantastic relationship with that report, who thrived under her coaching. Within a year, that person was promoted to be a team lead. Can you share your impressions of how you think Project X or Meeting Y went? Why do you think that? I noticed that Z happened the other day. Is that normal, or should I be concerned? What keeps you up at night? Why? Your manager has decided to leave, and you are taking their place. The successor transition is like the apprentice’s but with a twist: Because your manager is leaving, you’re taking on supporting the entire team yourself, not just a portion of it. You may feel you have big shoes to fill. It can feel awkward to establish a new dynamic with former peers. See the description of “The Apprentice,” above. Don’t be too hard on yourself, and ask for support from your new manager, as well as from others around you. It’s also helpful to be up-front with your colleagues that they should expect a period of transition as you ramp up. You feel pressure to do things exactly like your former manager. Because the memory of how things used to be is still fresh in your team’s mind, it’s easy to fall into the trap of thinking you need to preserve the status quo. Your first three months as a new manager are a time of incredible transition. By the end of it, the day-to-day starts to feel familiar — you’re adapting to new routines, you’re investing in new relationships, and you may begin to have a sense of how you can best support your team. 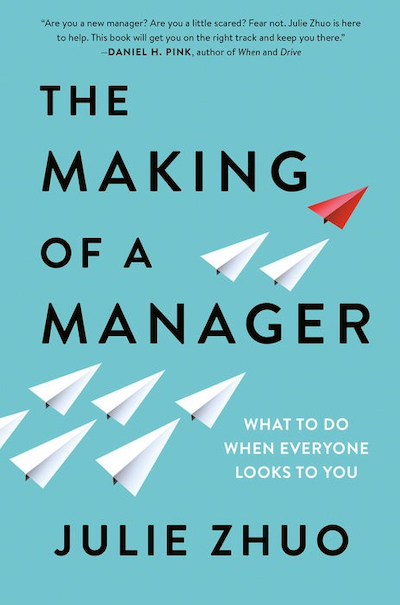 From The Making of a Manager by Julie Zhuo, to be published on March 19 by Portfolio, an imprint of Penguin Publishing Group, a division of Penguin Random House, LLC. 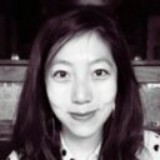 Copyright © 2019 by Julie Zhuo.